First impressions are hard to change, and when you’re selling a house, there may not be a second chance. That is why Realtors® consistently stress the importance of your home’s curb appeal. Potential buyers will develop a feeling about your home before they even enter the door and that will continue to influence their perception as they walk through. A messy yard, a dirty front porch or worn paint will loom large as buyers evaluate the upkeep of the home. Any imperfection or question can turn minor problems into warning signs in their eyes. 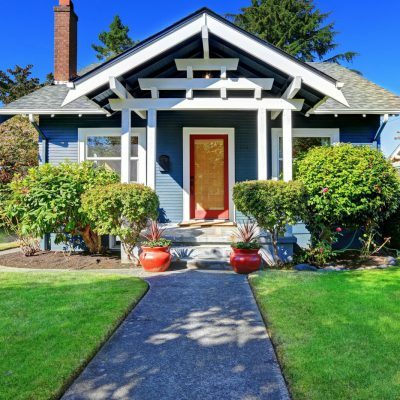 It truly does pay to have a sharp and inviting curb appeal when it comes to selling your home, and this is a necessity regardless of any market forces. 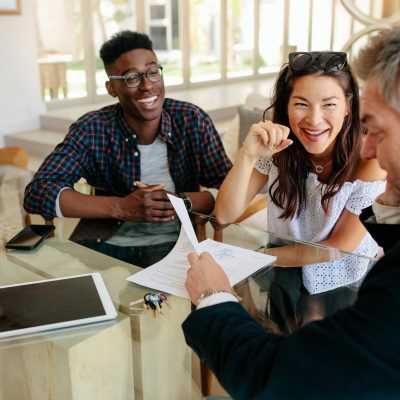 Here are 5 tips on what to evaluate and then fix, if necessary, at your house before listing it with a Greater Regional Alliance of Realtors® agent. A freshly mowed green lawn – or cleanly shoveled walkway if you’re selling in the winter – along with well-manicured landscaping instantly boosts the appearance of homes. Spreading mulch, trimming bushes and trees and planting colorful flowers are excellent appeal builders. The attention to yard maintenance creates a clean atmosphere and sense of relaxation that can carry over to the inside. Potted plants near the front door are also effective scene-setters. Dirt, grime, mildew build up over the years that you live in your home, and while it may become something that you don’t notice, others will. Concrete, brick and vinyl surfaces spruce up quickly with the wave of the pressure washer wand. Decks, fences, patios and garage doors brighten and become attractive and inviting. A word of warning, however, is that the power can remove paint and you need to operate the equipment with caution. To balance that risk, a bucket of soapy water and a long-handled, soft-bristled brush can remove the dinginess on your wood features. If you don’t own a pressure washer, borrow a neighbor’s or head to the hardware rental store. Painting takes time and it is expensive, but a fresh coat will attract buyers. It’s wise to invest in a paint job and reap the rewards that Realtors® and staging experts at home-buying sites like Trulia and Zillow peg the benefit at or above the cost. Advisors recommend staying in a color tone that is consistent with the neighborhood. 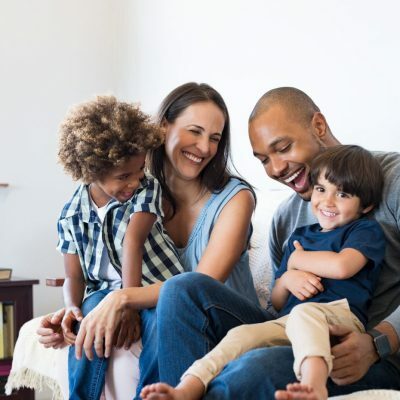 You’ve watched the home renovation and house hunting shows and heard how to make houses “pop.” A brightly colored front door can woo would-be buyers. Similarly, accented patio furniture and exterior decorations like a seasonal wreath, a doormat or an attractive welcome sign can also enhance the overall look of a house or condominium. Small repairs are easy to overlook but are essential to make when viewing your home from a buyer’s perspective. Lighting fixtures that don’t work, mailboxes that are off-kilter and gutters that are sagging or clogged make a difference. Invest a little elbow grease and make the quick fixes that will help reward you with a sold sign in your yard. Trust your Greater Regional Alliance of Realtors® when it comes to suggestions on how to improve your curb appeal. Their professional experience and knowledge goes a long way when marketing and selling your home.